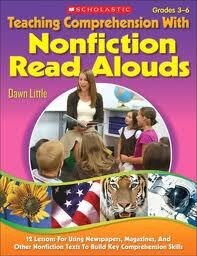 I’m linking to Allyson Beecher’s Nonfiction Picture Book Wednesday on Kid Lit Frenzy today. From an early age, Noah Webster liked to use big words. He loved learning and even became a school teacher. It was during his time in the classroom that he realized that the newly formed American needed its own language, because American children came from many different countries and didn’t speak like British children. It took Noah twenty years, and a lot of persistence, to write the dictionary of American English. Check out Picture This! Teaching with Picture Books for my thoughts on how to use this book in the classroom.